If you have missing teeth or fixed bridge work that you're unhappy with, you may be a candidate for Dental Implants in Fargo ND. Dental Implants are the most natural replacement for missing teeth and help to prevent face disfiguring bone loss. Traditionally, if you were missing a tooth or if one needed to be extracted, the healthy teeth on either side of the missing tooth would be cut down and the whole thing replaced with a three-crown "bridge." Dental implants are the modern alternative. Instead of cutting down two perfectly healthy teeth, a periodontist inserts a dental post (dental implant) into the jawbone to replace your missing tooth root. This post becomes solidly fixed into your jaw (like a natural tooth root). Fargo ND dentist Dr. Harr then places a crown onto this artificial tooth root that looks, feels, and functions like your natural teeth. Dentures have to be taken out and soaked at night. During the day, they can also look unnatural and rub painfully. Dentures and partials make it difficult or impossible to eat certain foods. Dental implants can be used to anchor partial and full dentures. 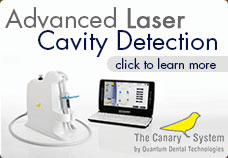 This prevents the slipping, irritation, and pain associated with "floating" partials and dentures. It also prevents the tedious removal of dentures for overnight soaking and cleaning. Dental implants also eliminate the need for dental adhesives. This allows you to enjoy eating the foods you previously avoided. With dental implants, your partials or dentures are firmly anchored to the jawbone, causing them to feel much more like natural teeth. Dentures can cause bone loss, due to lack of stimulation. The discomfort involved with receiving a dental implant is similar to that of having a cavity filled. It is often done under local anesthesia and patients generally experience little discomfort after the procedure. Dental implants become fixed to the jawbone. Though the life span of a dental implant will vary with each patient, many have lasted for more than 30 years. With good oral hygiene and regular cleanings, dental implants should last a lifetime. In contrast, the average life span of a traditional fixed bridge is between 10-15 years. The duration of the procedure is highly variable, largely because healing is often required in between steps of the procedure. In some cases, when there is abundant jawbone tissue and the patient is in good health, some specialists offer “immediate loading”. In this single-day procedure, the implant and crown are placed simultaneously. More commonly, the crown is fitted several months after implant placement, allowing the implant time to fuse with the jawbone. In cases involving bone grafting, the graft must first heal for several months before the implant can be installed. 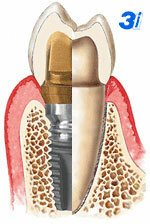 Then the implant must integrate into the bone for several months before the crown can be adhered to the implant. The first portion of the procedure is done at your specialist's office. The gum covering the area is gently folded back and the underlying bone prepared to receive the implant. The extent of the bone preparation is dependent on the number of implants required. The implant(s) are then installed, and the gum sutured. The implant should fully integrate into the bone after 3 to 6 months. At this point, a custom-designed crown is fitted over the post. The details of the procedure change slightly with the structure of the implant used. Academy of Osseointegration: What are Dental Implants? So if you are looking for a Dental Implants in Fargo, call us today and see what a difference a beautiful healthy smile can make. Copyright ©2018 Melinda Harr. All Rights Reserved. Are you looking for a gentle, yet highly skilled Fargo Dentist? Serving the Fargo area including Brunsdale, Southpointe, and Lincoln areas, our caring team is here to help! Here are links to some of our most popular services: Cosmetic Dentistry, Teeth Whitening for a brighter whiter smile, Porcelain Veneers for a more beautiful smile, Implants for missing teeth and CEREC, a leading edge technology, for faster more precise restorations. Work with a dedicated dentist near Red River Valley, Brunsdale Park, and South University Drive. Call us today and see what a difference a beautiful healthy smile can make.